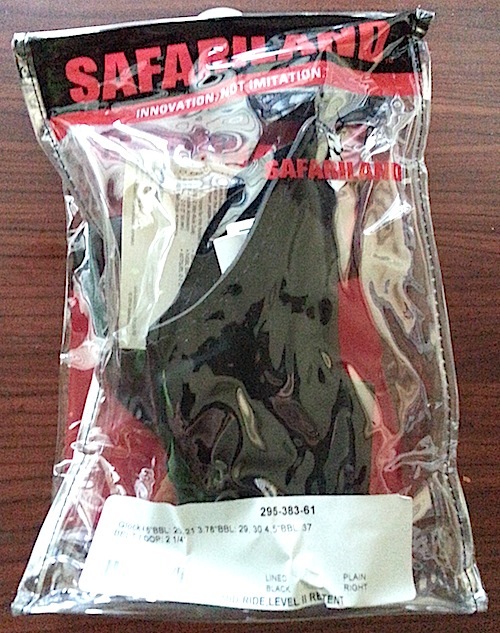 This is a brief review of the Safariland Model 295 level-2 retention holster. I occasionally have need to open-carry on a duty belt, so I’ve been looking to upgrade my retention holster for a Glock 20 with extended barrel. 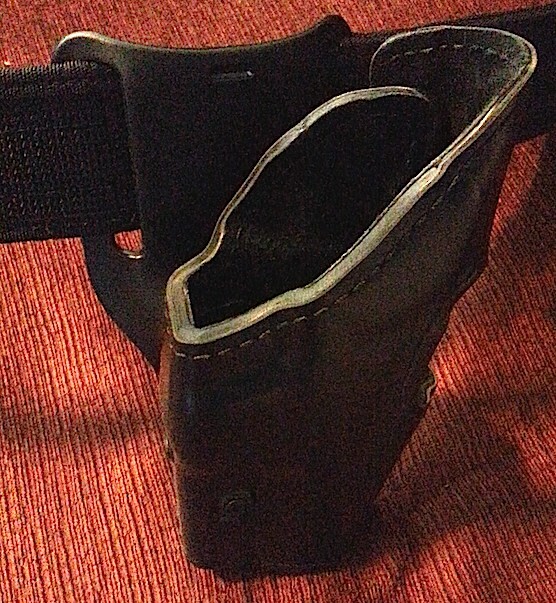 There are very few holsters that accommodate an extended barrel, especially with retention. I was pleased to at least find a level-2 holster from Safariland, the undisputed heavyweight champion of duty equipment. Here is what the product looks like in the package. I ordered the holster on Amazon. The product arrives in the packaging shown above, with instructions for a variety of holster models. Retention methods vary from model to model, so take the time to locate the proper instructions. This model is designed to work with a 2 1/4 inch belt. No ordering options were provided for smaller belts. It does, however, work acceptably with a 2″ belt, as shown below. Although there is some space, I never had an issue with the holster slipping. I also found the mid-ride to be perfect for use with a vest. Cant was fine with me right out of the package. The draw stroke is reasonably simple. The thumb snap breaks from the inside, which is natural as the hand assumes a combat grip on the pistol. After releasing the thumb break, rotate the pistol forward and then draw straight up and out of the holster. So simple, even a caveman like me can do it 🙂 The holster is well-constructed and very reliable, draw to draw. I don’t often open carry, but when I do, I use a Safariland holster.